It is that time of the year again! 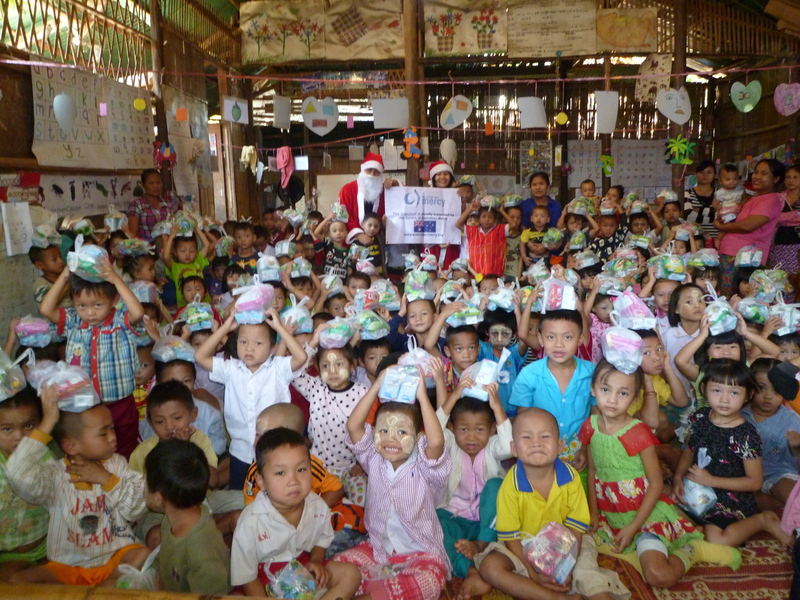 Each Christmas Australian Mercy launches a Christmas appeal the kids in Mae-la Camp. It is a time of joy and fun in 23 preschools where Christmas is celebrated with presents and a Christmas party. Last year 2,724 people celebrated Christmas in this way, this year we want to extend the program so that we can reach other parts of the camps as well. It all starts with the arrival of Santa and his helpers, once they arrive the festivities begin and each child is given a small present, the Christmas story is told, and a nutritious Christmas meal is served, and there are games and songs and fun. For a lot of families this event is the highlight of their year and they look forward to it with eager anticipation. We are hoping to raise $7,500 this year to extend the program outside of the preschool network and begin to include other schools in Zone A. Your donation will bring a smile to the face of child in refugee camp this Christmas. Donations can be made here.